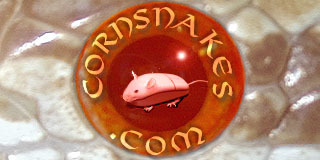 So I have a wild caught cornsnake that I found at a jobsite about 4 months ago. The snake couldn't have been more than a month old when I found him. Recently he stopped eating everything from frozen mice served every which way, to lizards I caught that he did eat for a while. Now the snake hasmt eaten in a mo th and i just bought 3 live fuzzies and hes just shaking his tail at them and doesnt seem interested. My question is can the mice live in the tank with the snake until they get eaten one night? They have there eyes open but they seem way to small to pose a threat. I have left peach fuzzies and fuzzies in with hognose when I raised them, but nothing older, like hoppers. It's unusual for a wild caught to refuse a lizard, assuming it's an anole. Hope he starts eating again. Maybe the snake is going into a shed cycle? Many snakes will stop eating at that time. Personally I wouldn't keep the mice in with the snake. You really wouldn't want the snake to stop associating the smell of a mouse as food, which constant exposure to could possibly result in. The baby mice are going to starve to death after a few days, which is cruel. Please either return the mice or find a way to humanely euthanise them.